I’m here with a little announcement this morning: feel free to take an extra day or two to finish up your photo hunt this month if need be. Reason? I have a last minute trip to Cape Cod planned for tomorrow through Saturday. Saturday was the date the photo hunt was due, but now since I won’t be home until Saturday night, it is unlikely I will post my own hunt before Sunday since I’m not done taking my photos yet. I didn’t want to head off to the Cape without leaving you with a few new pictures though. I haven’t seen many butterflies yet this summer – but some lovely photos over at Robin’s place have me hoping I will see them soon. My butterfly bushes are just beginning to bloom..
and the milkweed is out too. I’ve left some stalks here and there around the yard especially to entice the monarchs. 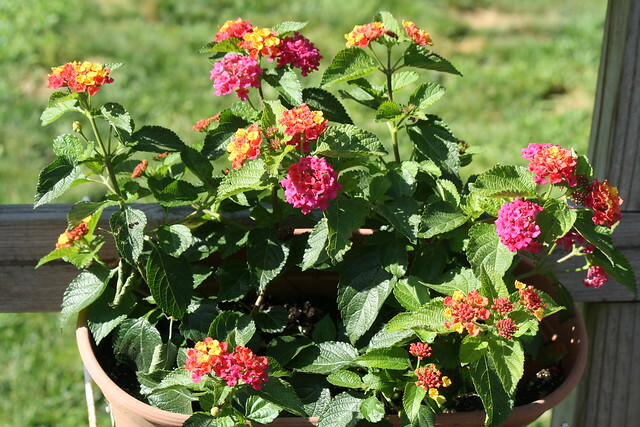 I thought butterflies, and maybe the hummingbirds too, would find these lantana attractive but so far they don’t seem to be of much interest. I’ve been enjoying watching the color-changing that the blooms go through as they mature. 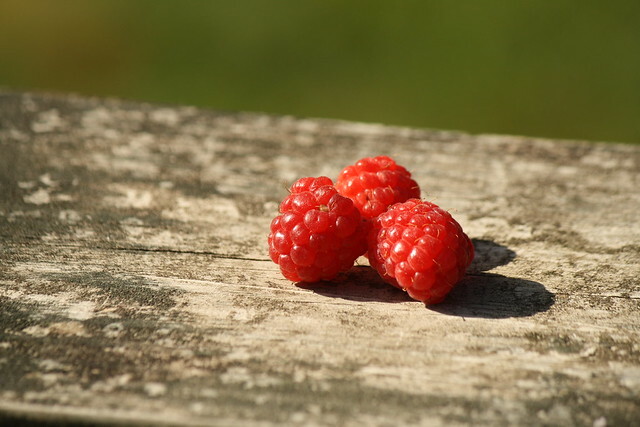 The raspberries are ripening regularly now, and I’ve been enjoying eating a daily handful. I suspect we will have quite a few to pick when we get back. Our weather forecast for the Cape over the next few days couldn’t be nicer: upper 70’s to low 80’s with mostly sunny skies. 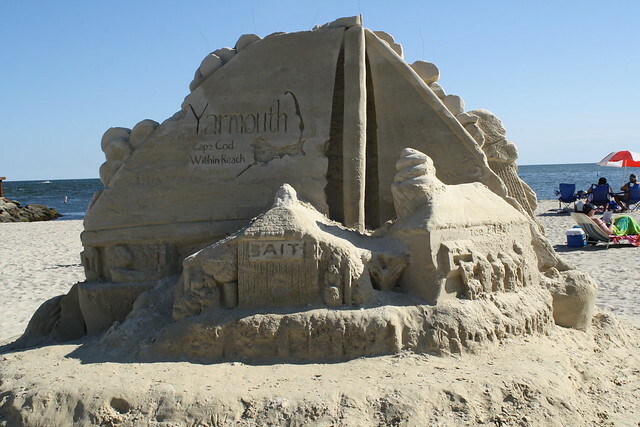 My mom tells me the summer kick-off sand sculpture event in her town is happening over the next few days, so I’ll be looking forward to seeing that. Last year I saw what was left of the sculptures after a couple weeks had passed. 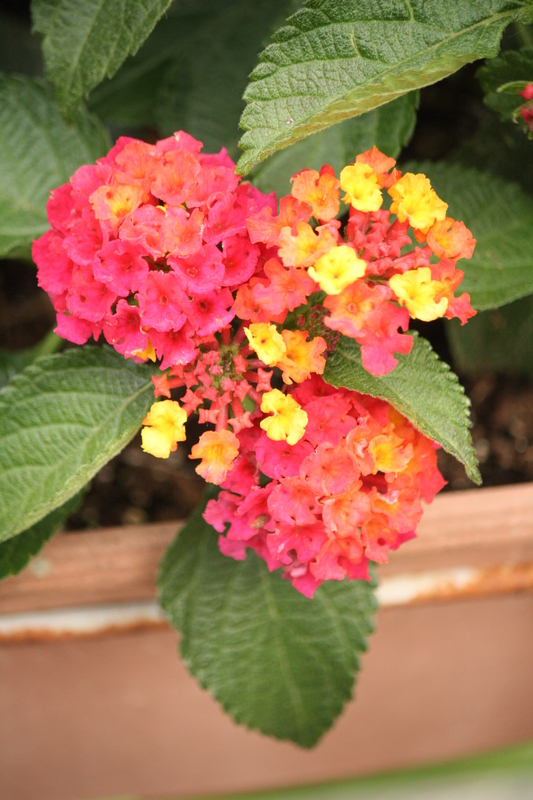 “commonly known as the Butterfly Bush, is a genus of flowering plants. The generic name bestowed by Linnaeus posthumously honoured the Reverend Adam Buddle (1662–1715), a botanist and rector in Essex, England, at the suggestion of Dr William Houstoun. 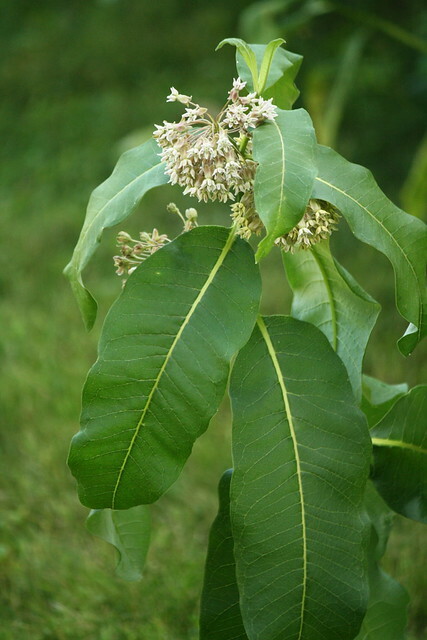 Houstoun sent the first plants to become known to science as buddleja (B. americana) to England from the Caribbean about 15 years after Buddle’s death. The peninsula, of course, is Cape Cod. 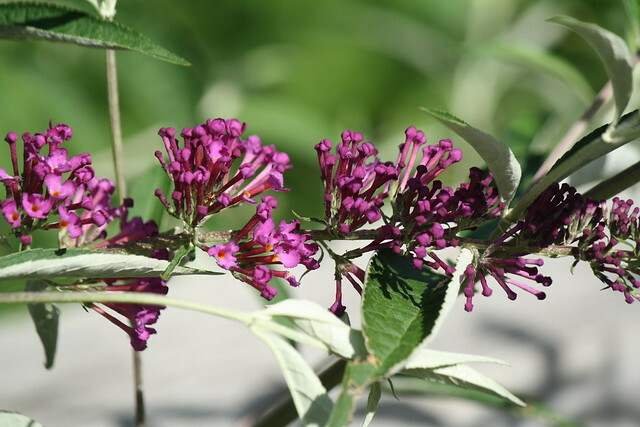 Buddleja, peninsula – they kind of rhyme, no? If that title doesn’t get me noticed by WordPress, I’ll never be “Freshly Pressed,” lol!